No Mowing. No Weeds. No Water. No Mud. Lazy Lawn® isn’t just about your artificial grass. Above all, it’s creating a drainable base that doesn’t cause flooding or harm trees & plants and eliminates future weed growth. We generally remove 3-4″ of existing grass, weeds and replace with one of our rubber, plastic or aggregate base systems along with our high density weed barrier. Our seasoned professionals will install your lawn using the latest techniques and with our peace of mind 12 year warranty, you’re fully protected. After installing your gorgeous artificial lawn, you’ll select from one of our 3 infills – silica sand, rubber crumble or Zeolite for finishing. Lots of reasons, but mainly because it’s Awesome! Lazy Lawn® is Canada’s leading choice in the distribution and installation of synthetic lawns. We serve home and business owners from coast to coast with an affordable low cost solution to traditional lawns and paving applications. Creating a beautiful landscaped lawn with Lazy Lawn®will provide you and your family with more than just a beautiful lawn. Our awesome artificial grass will decrease your water consumption and enhance the look and value of your home. Spend more time doing the things you enjoy, while eradicating the hassles of seeding, watering, removing weeds and all the maintenance that comes with natural grass. Bran and his team at Lazy Lawn provide me with a beautiful lawn. The service was outstanding as was their price. Great guys! Lazy Lawn was professional and knowledgeable from the very start.They delivered a quality product on time, on budget.We are the only people in Mississauga that have green grass year round! More importantly no watering, no maintenance, and NO weeds!!!!!!! Bran and the Lazy Lawn team did an exceptional job in our backyard. The project was postponed do to rain a few times, but my wife and I couldn’t be happy with the final outcome. Would highly recommend this company. We love the lawn. Bran worked hard to make sure that we were happy. There were some problems initially, but he was dedicated to the job and ensured that the lawn met our expectations. Our Awesome Artificial Grass utilizes a soft polyethylene UV protected synthetic fiber. Treated and tufted on a porous backing, Lazy Lawn® is the same quality product used in school playgrounds, play yards, and lawn applications. Lush and lifelike, the synthetic turf surface boasts a realistic “fresh cut” appearance combined with a soft pleasing feel. Lazy Lawn® offers a comprehensive 12 year warranty on both our awesome artificial grass, and our workmanship – so you’ll have the peace of mind your deserve. Lazy Lawn® Artificial Grass surfaces, maintenance is achieved with a garden hose, leaf blower or even a rake! A Lazy Lawn® custom designed and installed artificial putting green always starts with a client meeting and a graphic sketch of not only how the putting green will look but also how it will blend into the existing landscape. Our team of designers will complete a graphic rendering of the synthetic golf green and provide you with a detailed estimate for the project. This “concept to completion” guarantees that homeowners see and understand exactly how their backyard putting green will look, long before the first putt is taken. We’ll be more than happy to include bunkers, chipping areas and fringe to further enhance the look and feel of your backyard putting green to satisfy all levels of golfers. Pet Turf is a proven solution for a your furry friend, both large and small. Lazy Lawn® Artificial Grass for pets is a safe, durable, resilient, non-allergenic activity surface. Perfect for entire backyards, or to create enclosed outdoor dog runs. Our Pet Turf has a high rate of drainage and an odor control system so it’s also awesome on patios, balconies and terraces to make potty pads. For older dogs and cats Lazy Lawn® is an innovative and sanitary solution for pets to relieve themselves. Imagine a lawn without all the yellow patches? While cement and interlock can cause cuts and abrasions and gravel is known to aggravate paws. Pet Turf by Lazy Lawn® does not! Lazy Lawn® isn’t just for lawns – Introducing Terrace Turf by Lazy Lawn®! Our Awesome Artificial grass coupled with our award winning base systems will enhance the look and usability of any patio, balcony or terrace. Lazy Lawn® provides a vast variety of artificial turfs for sport fields. We have helped install sports fields such as soccer, football and tennis courts on behalf of a variety of professional, semi-professional, collegiate and amateur sporting venues across Canada. Additionally, Lazy Lawn® has supplied a number of municipalities, colleges, universities, and school districts with synthetic grass for use in intramural play fields. Lazy Lawn® synthetic sports turf can be installed in both indoor and outdoor venues. 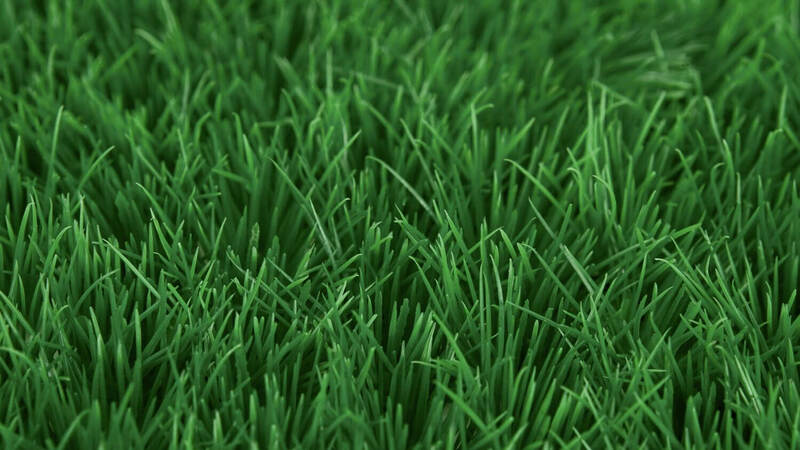 Our Awesome Artificial Grass utilizes a soft polyethylene UV protected synthetic fiber. Treated and tufted on a porous backing, Lazy Lawn® is the same quality product used in school playgrounds, play yards, and lawn applications. Lush and lifelike, the synthetic surface boasts a realistic “fresh cut” appearance combined with a soft pleasing feel.